Abby is a undergraduate student at the University of Nebraska—Lincoln studying Agricultural and Environmental Sciences Communication. Growing up just 50 miles south of Washington, DC, Abby has a passion for politics and loves to share the stories of American Agriculture with the world. 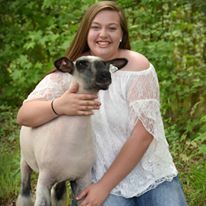 Abby has been involved in 4-H for her entire life, showing livestock and serving on National Design Teams and interning at the National 4-H Council. Interacting with people is a favorite of Abby's! Since attending Generation Ziglar in July 2017, Abby has learned how to take her love of people, and put it to use! Abby now helps push others to achieve their goals!